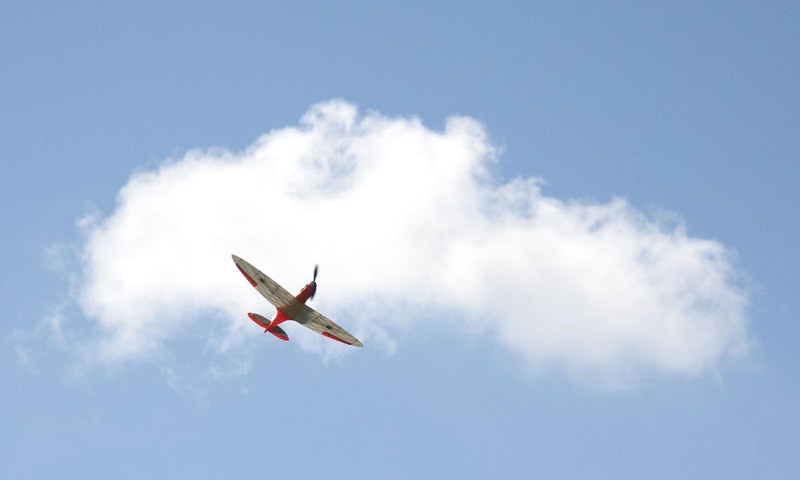 Here is a short video of a fully 3D printed Spitfire. Design by 3DLabPrint. The plane is printed by a friend of mine, on his Original Prusa MK2 3D printer. It was an interesting experience to build it and test it. Usually, I am not a big fan of scale RC models at all. The plane is a little heavy for my taste, and maybe my setup is a bit underpowered. But it does fly nicely, and it does look very cool in the air when the light shines through the wing, highlighting the 3D printed reinforcement structures. This entry was posted in 3D printing, Airplanes, Flying Things on July 10, 2017 by Axel. I bought this airplane used from a friend in my local RC flying club a few months ago. The model is a Windstar from Thunder Tiger. It is a three channel electric glider with elevator and rudder. The wingspan is about 2 meters. The airplane was old and used a lot. I started by removing all the covering film and replaced some broken wood parts. I rebuilt the nose of the fuselage to fit my needs with a large magnetic battery hatch. I also modified the wing tips and removed the original plastic ones and replaced them with balsa wood. After all repairs and modifications was complete I covered the airplane again using a Oracover, yellow and red on the top side and black on the bottom. 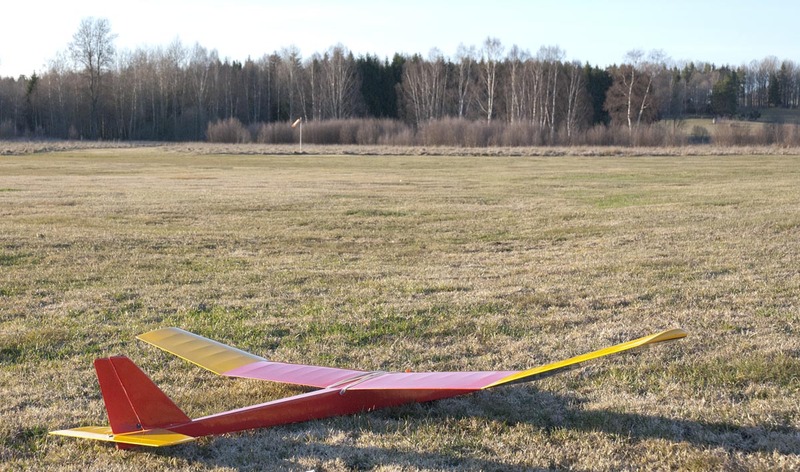 This entry was posted in Airplanes, Flying Things, Gliders on April 4, 2017 by Axel. Some videos I shot while visiting the airshow “Försvarsmaktens Huvudflygdag 2016”. This entry was posted in Airplanes, Flying Things on September 7, 2016 by Axel. Some videos I shot while visiting the airshow “Västerås Rollout 2016”. This entry was posted in Airplanes, Flying Things on June 7, 2016 by Axel. 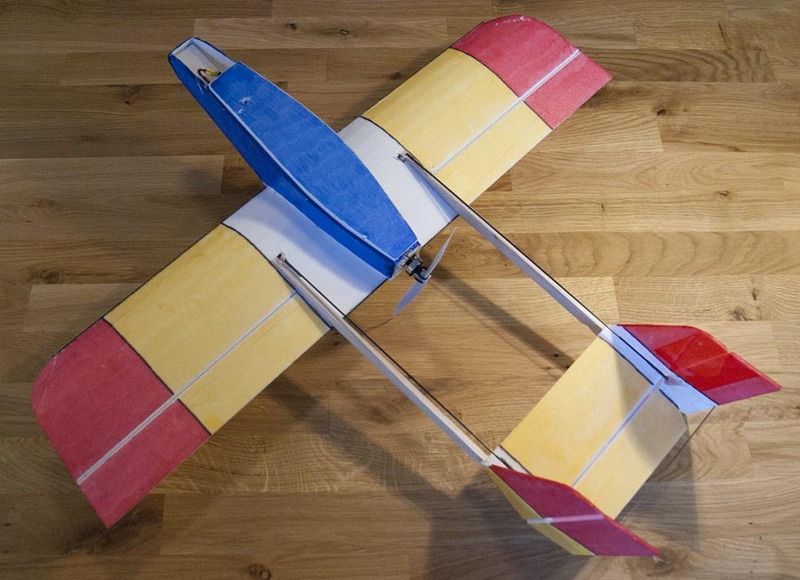 This video shows the building process of the BushBeast 2, my new balsa airplane. This video was shot about a week after the first flight when I had become more comfortable with the airplane and its flying characteristics. 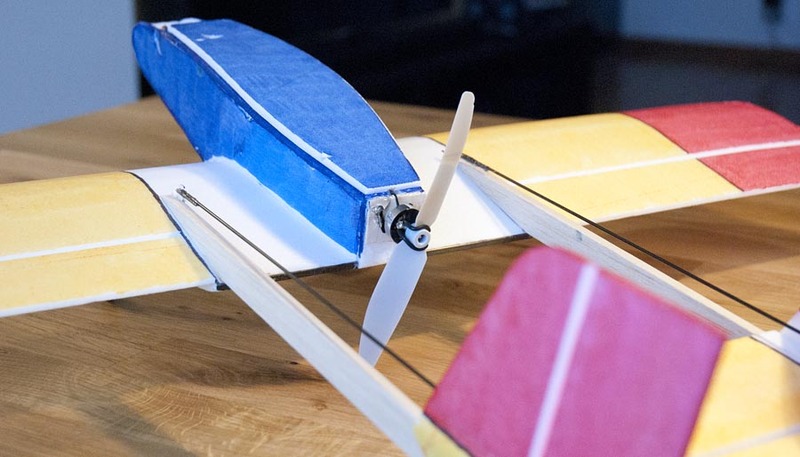 This video shows the first few flights of a new balsa airplane that I have designed and built during this winter. 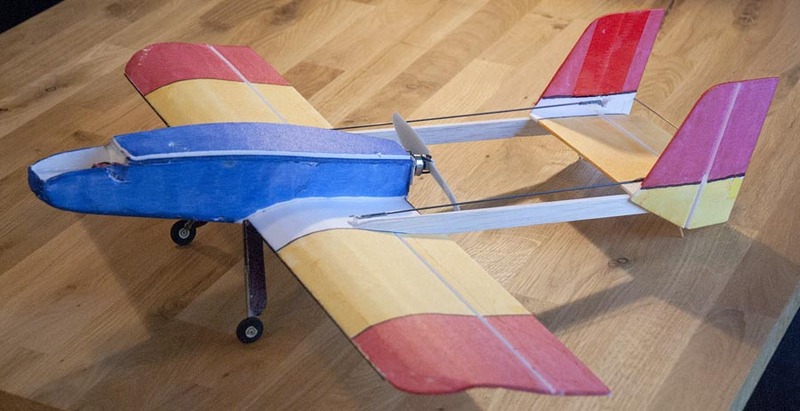 The airplane has a wingspan of 90 cm and weighs around 700 grams including battery. I use standard RC equipment, no special functions or microprocessors in this one. I built this airplane just to havs something unique and fun to fly with. The plane is built using traditional building techniques. It is built out of balsa and covered using Oracover. This entry was posted in Airplanes, Flying Things on April 10, 2016 by Axel. Last year I designed the “Stick pusher” for indoor flying. This years airplane is new design. I took all the things that a liked with last years airplane and added some new features, ailerons being the biggest change. I have also moved to a twin boom pusher design to be able to have the motor and propeller more in the center of the air frame, this removes the effect that airplane wants to dive when you increase the throttle. It also makes the airplane fly more symmetrically. 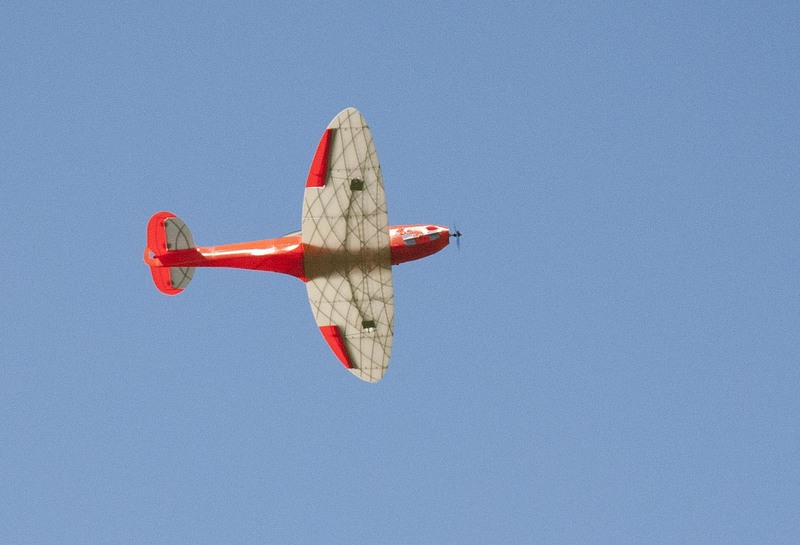 The airplane has large control surfaces and is capable of tight loops and turns. 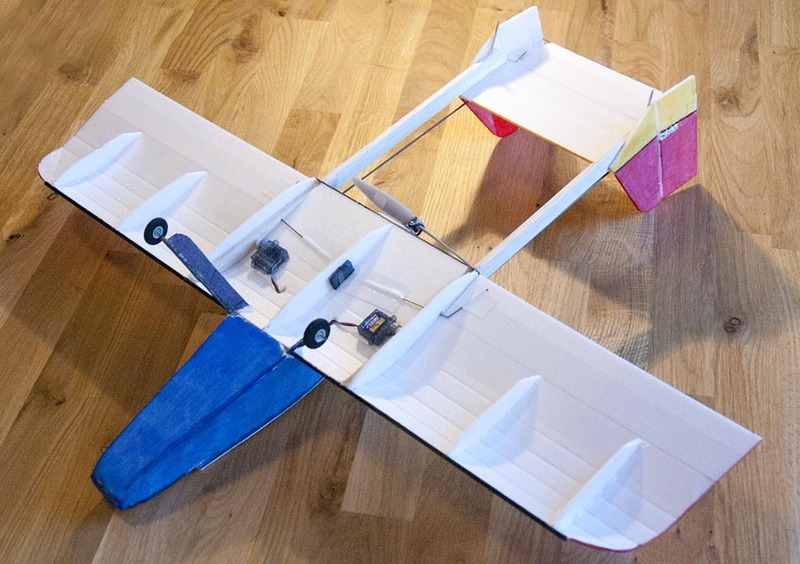 It has a relatively large speed envelope for being a small indoor plane, it is possible to fly quit slow, but it can also fly very fast if you want. 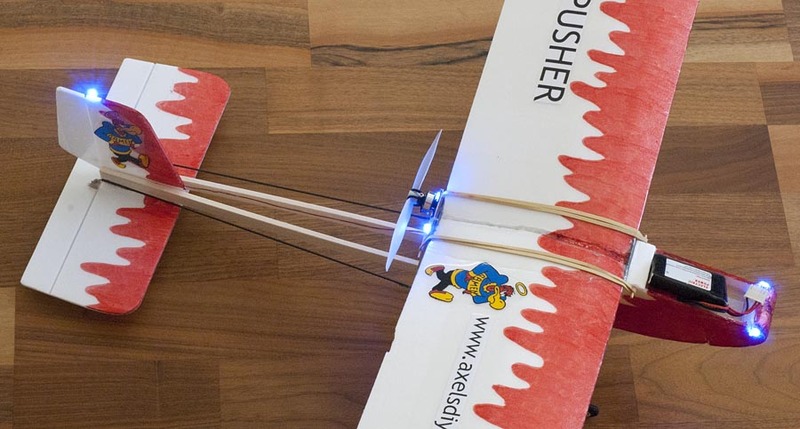 This entry was posted in Airplanes, Flying Things, Indoor flying on November 22, 2015 by Axel. This is a new airplane that I have designed and built during the winter. 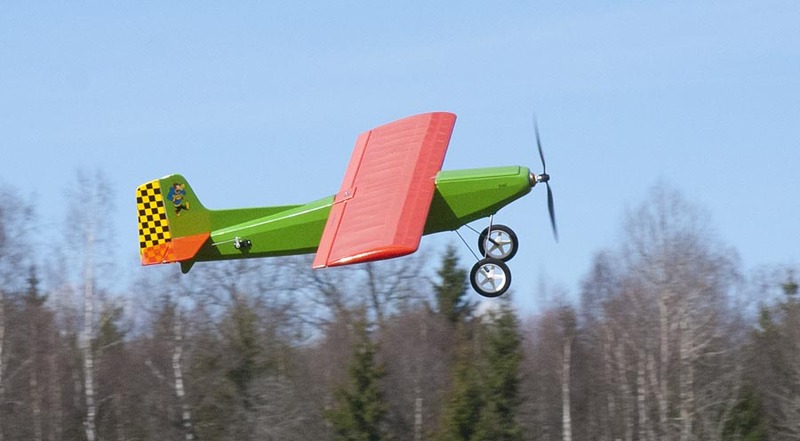 It is a pusher with large wheels and flaps designed for rough flying fields. This plane is large compared to my other designs. It runs on the same large 8000 mAh 3 cell batteries as my APM quadcopter. 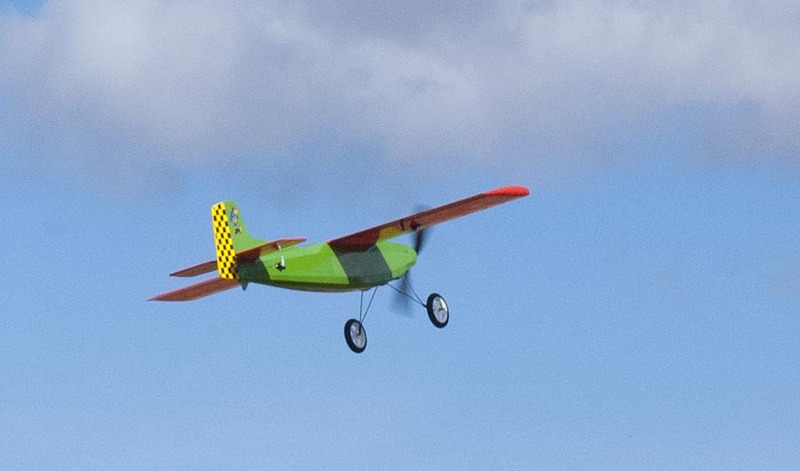 The original “Sky Cruizer” was an airplane I build many years ago when I wanted something fun to cruise around with, this new plane shares both the color scheme and purpose of the first Sky Cruizer. This entry was posted in Airplanes, Flying Things on May 7, 2015 by Axel. When I built the “Stik Pusher” indoor plane, I installed some LEDs that I did not connect. My intention was to add an Arduino but I wanted to test and make sure the plane worked as expected before I did it. 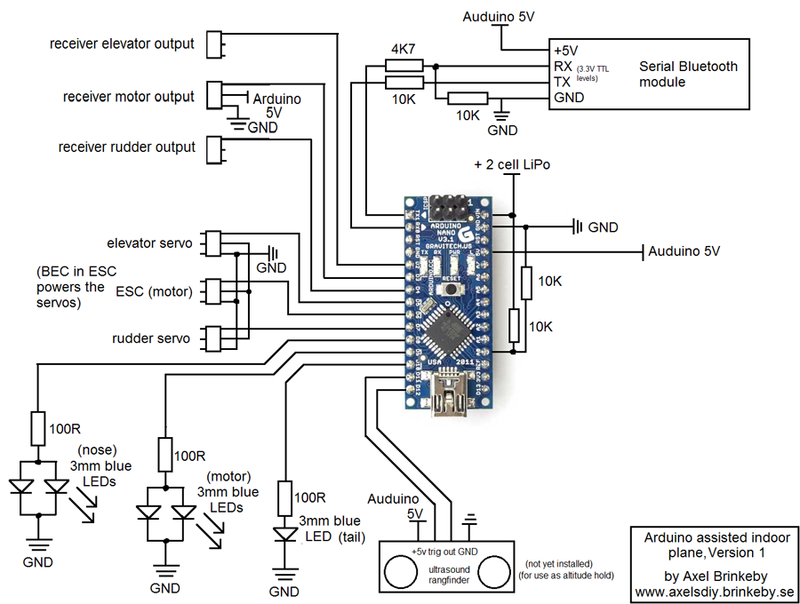 The main purpose of the Arduino is to monitor the battery voltage, but all control signals from the receiver to the servos and ESC (speed controller) now goes though the Arduino. The Arduino flashes the LEDs located on the fin, motor mount and nose depending on the battery status. If the voltage drops to low, the motor is stopped to protect the battery, but the the control surfaces still works. This is similar to how a normal “cutoff” function in an ESC works. My ESC in this plane in very small and simple and does not have this function built in. I have also connected a serial bluetooth module the the Arduino for wireless communication. I also plan on connecting an ultrasonic range finder pointing downwards to experiment with an automatic altitude holding feature. This requires tuning some parameters, and this is where the bluetooth connectivity comes in handy. Maybe later. I will also try to control the plane with a smartphone app or laptop using this bluetooth connectivity. 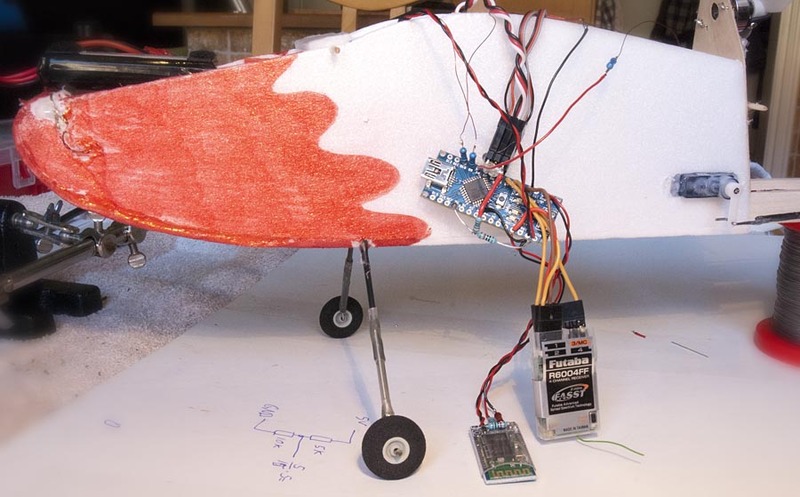 This entry was posted in Airplanes, Arduino, Electronics, Flying Things, Indoor flying on November 9, 2014 by Axel.